Many small business owners think they’re saving money by handling their financials themselves. While it’s a real asset to learn bookkeeping basics, cash flow management and your tax obligations, hiring an accountant to oversee your finances has many benefits. Leaving your books to a pro will free up time so you can focus on serving your clients and implementing plans for growth. Here are a few ways an accounting professional can help you save money that you can reinvest back in your business. There’s no one more suited to discovering “found” money than an accounting professional. Hire an accountant to sort your books and systemize your bookkeeping; better record keeping is the easiest way to allow you to quickly see – on a monthly, weekly or daily basis – where your money is going so you can cut costs. Keeping your accounts up to date will also help you understand which of your business investments yield the greatest returns so you can be more strategic about spending. 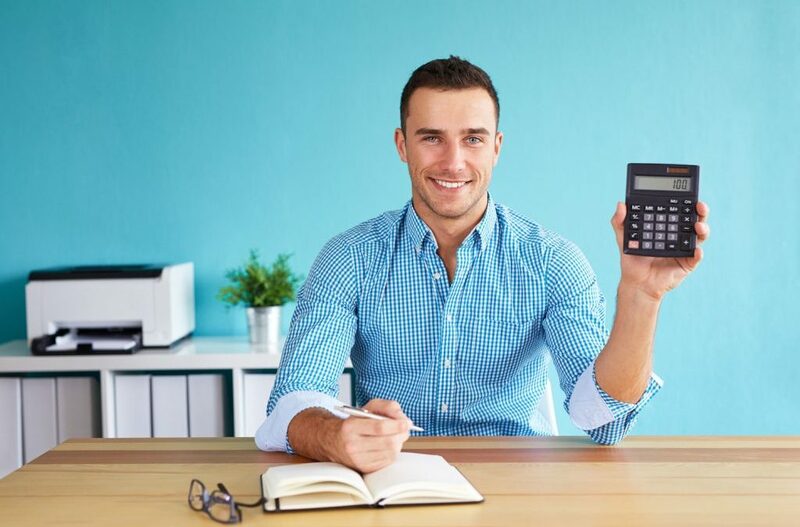 An accountant can spot trends that you can take advantage of to earn greater profits – and even find savings with vendors, staff and operating expenses. Hiring someone to manage your accounts will also reduce the costly errors that are commonplace when business owners try to manually track their expenses. Your accountant may be your trusted advisor when it comes to staying up to date with the latest regulations for small business taxes. He can also provide you with expert advice on how to maximise your benefits and minimise your taxes each year. Don’t underestimate the cost savings of hiring someone to complete your tax forms correctly and submit them on time. Penalties for small businesses who neglect to file their taxes on time – or at all – can quickly add up; the longer you wait to file, the more interest you’ll be charged and the likelihood you’ll incur additional penalties. A business that is already struggling may not be able to pay a tax fine and find themselves closing their doors. If your small business is ever audited, having an accountant on board will let you rest easy knowing you won’t be hit with a penalty for errors or omissions. Your accountant possesses business knowledge that can help you make more informed decisions. Rely on your accountant for advice when you draft or revise your business plan; those key insights on assessing profitability will help you move your business in the right direction – and avoid wasting time and money on strategies with a lesser chance of success. Look to your accountant to help you determine your most valuable clients, how much money you need to invest in a growth plan and which marketing strategies yield the best return on investment (ROI). Having someone you can rely on to help set targets and monitor your progress is an invaluable asset that can help you not only save money, but earn higher profits. The bottom line? Your accountant can do much more for you than simple bookkeeping or ensuring you’re on the right side of the tax authorities. Hire a small business accountant and you’ll be doing a lot to help increase your chances for long term growth and success. © 2018 by LINSON BUSINESS CONSULTING LIMITED. All rights reserved.